As you step out of Liverpool Street Station you'd be mistaken for thinking that you have entered the business district of the city of London. 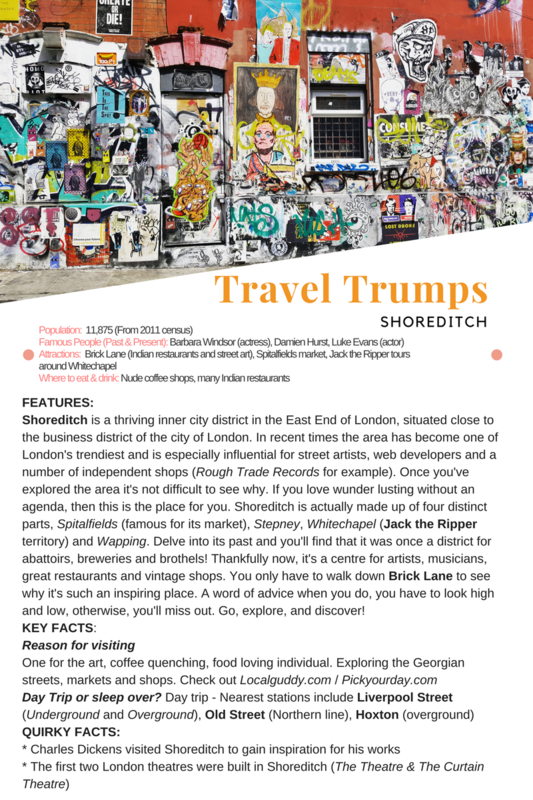 In fact, you have, but hidden behind the high-rise offices, you'll find one of London's most artistic and trendiest districts; Shoreditch. Incorporating Brick Lane, and Spitalfields market, this area is crammed full of creativity, boutique shops, cafes, and restaurants galore. Trust me, this is one area of London you need to visit on your travels. I must thank Localguddy.com who arranged a wonderful tour around the area. Our guide was very knowledgeable and entertaining. So if you want to add a little extra to your visit then a guide is a great way to delve deeper into the area.